We explore fundamental synthesis, biological mechanisms and receptor interaction with molecules of therapeutic relevance for better health. The course content is methodically structured and designed to prepare the students for a career in academia as well as pharmaceutical industry. In addition to this, the program empowers students to continue pursue higher studies and research activities. The Department of Pharmaceutical Chemistry at Konkan Gyanpeeth Rahula Dharkar College of Pharmacy & Research Institute, Karjat is one of the leading departments of its kind. At the graduate level, its mission is to provide superior graduate program provides comprehensive theoretical knowledge in variety of topics related to drug design, advanced topics in medicinal chemistry, organic chemistry, process chemistry and analytical techniques to strengthen the base of undergraduates of their academic career. As part of this mission, the Department of Pharmaceutical Chemistry has reviewed and updated its graduate curriculum under the Mumbai University in the year 2016 in physical chemistry, General Chemistry, Biochemistry, Organic Chemistry and Pharmaceutical Medicinal Chemistry, leading to M.Pharm, MS and PhD degrees while preparing graduates for careers in the pharmaceutical industry, academia and related fields. 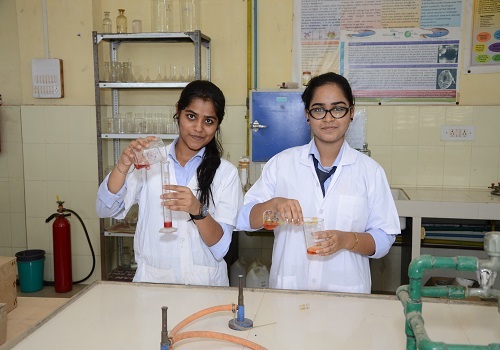 The practical exercises that have been framed helps the students to get practical skills in diverse areas like analytical techniques, drug synthesis, natural product isolation, physicochemical properties, separation techniques etc. Seminars are part of the training program and it provides opportunity to develop good communication and presentation skills. Pharmaceutical Chemistry is a stimulating discipline which links many scientific disciplines and allows for collaboration with researchers from other disciplines like biologists, toxicologists, pharmacologists, theoretical chemists, microbiologists, and bio-pharmacists in developing new drugs. One can place himself/herself in a competitive position by having strong background in organic chemistry and medicinal chemistry. This discipline offers a wide variety of job opportunities in academic, industry, research laboratories process chemistry, pharmaceutical biotechnology and medical device companies, government agencies, various other government research laboratories. Pharmaceutical chemists are involved in wide range of activities and have the opportunity of getting excited about exploring the unknown. Pharmaceutical chemists are involved in designing, synthesizing and identification of activity of new drugs as well as characterization, impurity profiling of those drugs which are already in the market. They have the responsibility of designing newer drugs with improved efficacy, safety and pharmacokinetic profiles. 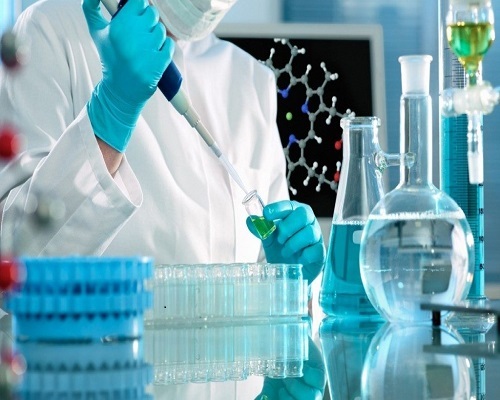 The lots of proficiency of Pharmaceutical Chemists and Analytical pharmaceutical chemists are utilized in improving the process and development of suitable methods by which pharmaceuticals are made and thereby develop the most cost-effective and environmentally friendly process. They are very much required by the pharmaceutical industries for their skills in critically analyzing and manipulating the properties of drugs. Broad understanding of biology and biological functions and how drugs work.